Enjoy an excellent visibility during the event and strengthen your business network through various sponsorship formules. 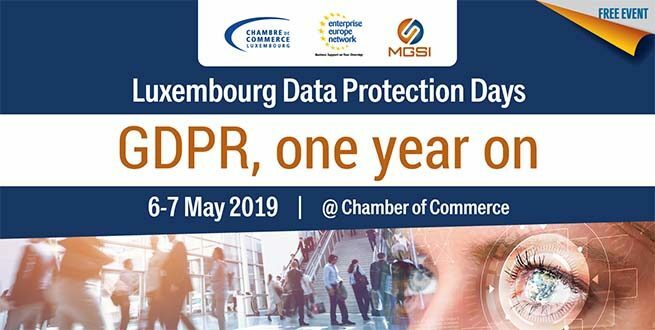 The Luxembourg Data Protection Days will bring together more than 500 key players in the field of Data Protection (CEO, CIO, Compliance Officer, CISO, GDPR Specialists, etc.). The programme include workshops and conferences led by national and international experts. A networking evening on 6 May 2019 will give participants the opportunity to exchange views and share their experiences regarding the GDPR and its implementation.